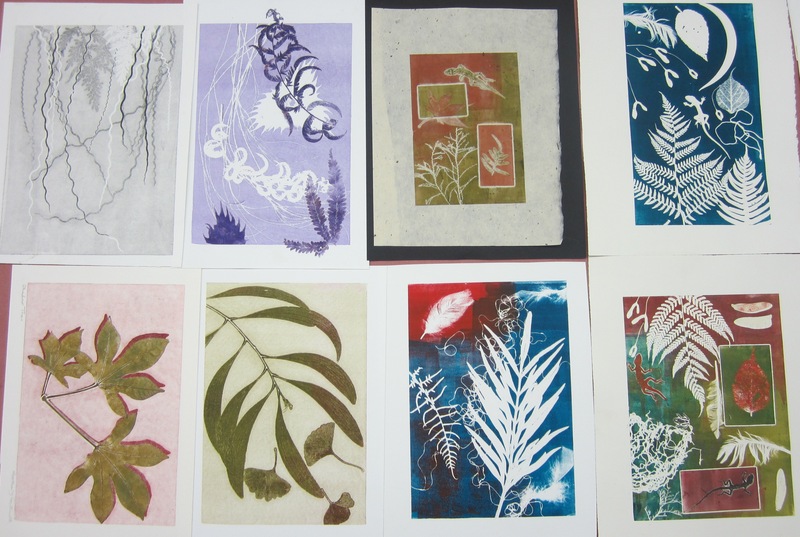 Explore the process of creating monotype (one-of-a-kind) prints on paper using natural objects such as leaves, flowers, feathers, and grasses. 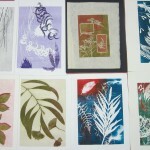 You will learn general printmaking techniques using an etching press, and the basics of nature printing with oil based etching and relief inks and a 100% rag printmaking paper. With a single inked plate you will create a series of monoprints that vary by the addition or subtraction of the natural objects on the plate. This technique allows for shadow and depth and the addition of other inked objects in a unique layering process. Incorporating the elements of design, you can also create background textures on an inked surface with the use of lichens, feathers, and other natural items. The possibilities range from simple botanicals to complex layered images. Nature printing is the process of deriving a print from a natural object with the use of pigments, inks, dyes, or chemicals on cloth, paper or other surfaces. In this twist of nature printing, a bleach product is used to remove color from natural fiber fabrics. We’ll use leaves or shells as the carrier, giving us the details of the details of the object. The bleach reacts with dyes and changes or removes all color. The resulting tones can often be a surprise. We will create a solution of thickened bleach, or use a commercial product like Soft Scrub with Bleach®. 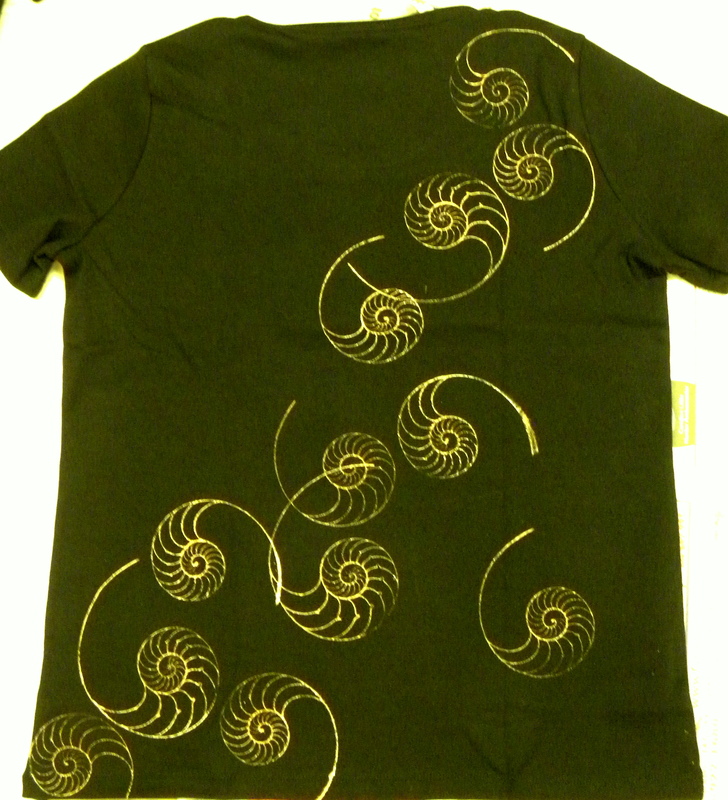 As in Nature Printing, we apply the solution to the plant or shell, and place it on the fabric. The bleach reacts with the dyes in the natural fibers to remove the color permanently in the shape of the object. This is a fun and easy class, who hasn’t accidentally gotten a bleach stain on clothing? You’ll be using your own t-shirts and clothing, remember, they have to be a natural fiber, and the less expensive the product, the easier it bleaches. 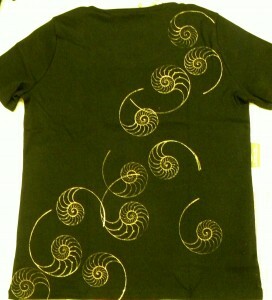 We may have time to add color back in to black clothing; it’s a fun addition to taking color out.